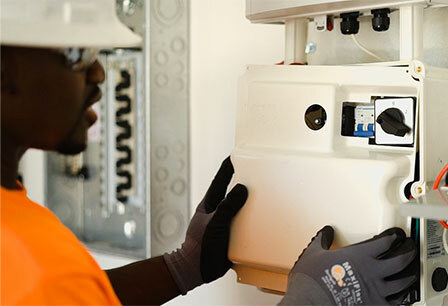 Require Only Licensed C-10 Electrical Contractors to Install Battery Energy Storage Systems. electricians is key to protecting public safety. Battery energy storage systems are rapidly expanding and being installed in schools, hospitals, businesses and homes throughout the state. Battery storage is a key technology to help California meet our clean energy and emissions reduction goals and expand the adoption of solar, wind, and other clean energy sources. 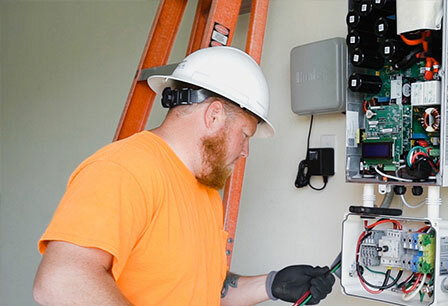 If not installed correctly by highly-qualified and licensed electrical contractors, battery energy storage systems pose unique fire, electrical, and public safety risks to installers, consumers, utility workers, and emergency personnel. The threat to public safety is very serious. Explosions and intense heat produced by an arc blast or thermal runaway include the release of toxic gases, high speed projectiles, and extremely destructive fires. A system that is improperly installed could cause serious public safety hazards including electrocution, arc flashes, arc blasts, fires, and explosions or thermal runaway. Due to the potential hazards, battery energy storage systems have their own separate installation standards, safety requirements, and national electric and fire codes. licensee to safely install and maintain battery energy storage systems. “…it would be a mistake for the Contractors State License Board to allow specialty solar contractors that are not authorized to install stand-alone energy storage systems to install these systems…Only contractors who have been trained in electrical risk assessment and electrical theory should work on these potentially dangerous systems." 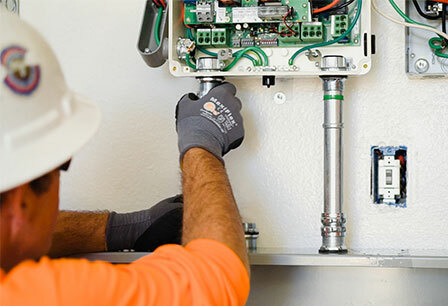 California regulation specifically prohibits C-46 licensed contractors (solar photovoltaic companies) and their employees from installing battery energy storage systems as a stand-alone project. The employees of C-46 licensed contractors, have no state requirements for training and certification. As such, they do not receive the extensive and specialized training needed to safely install and maintain battery energy storage systems. State law requires C-10 contractors to hire licensed electricians who have 8,000 hours of hands-on experience and have passed a rigorous state exam. C-10 licensed contractors and their certified electrician employees have expertise in all types of electrical work. C-10 licensed contractors hold a thorough understanding of the National Electrical Code (NEC), which is critical to preventing injury, destruction and death. You may add my name to the letter to the CSLB.